Flip open any fitness catalog or go to any fitness equipment website and you are bombarded with countless new, seemingly cutting edge fitness products. Is the fitness and strength & conditioning industry really advancing? Are obesity rates declining? Is the average person more muscular than 50 years ago? Are we healthier, stronger and experiencing less back pain? Or, are we just spinning our wheels? Are all these new training tools helping advance training results or just making smart entrepreneurs rich? Training results are about taking the best exercises for one's goal and getting better at them through intelligent program design and consistent hard training. The next problem with these new "cutting edge" tools is that they get turned into training systems. Some tools are just plain junk (I am resisting the urge to give examples), but others are good tools that can be part of a solid training system. However, even good tools fail to deliver the best results when turned into a training system. You do not, and should not, try to do every exercise in your program with or on any particular new training tool. Let's look at an example with the Swiss ball. I picked this one because it is an older tool that is past its popularity prime. This allows us a clearer view of the tool and its applications. Also, I have no intention to bash any current popular training tools - I simply want to help trainers and trainees understand the best ways to use these new tools to get the best results. 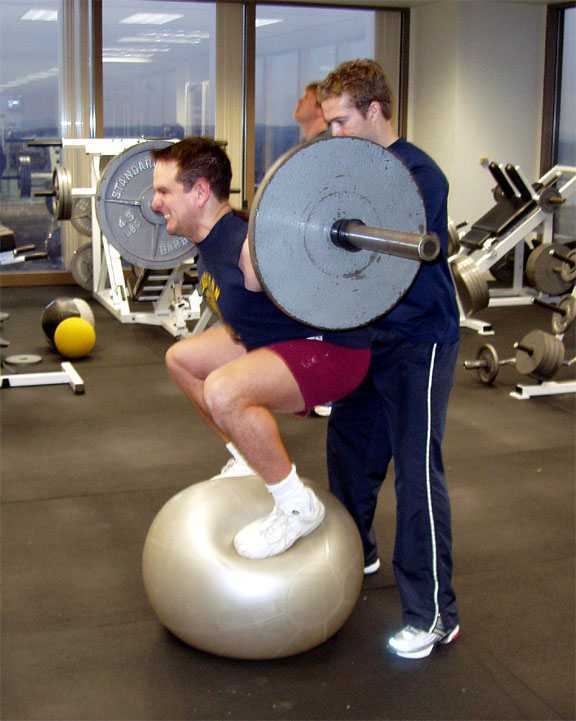 While Swiss ball usage started as physiotherapy in the 1960's, it didn't hit mainstream fitness until about 30 years later. I remember back in 1998 when I got my first job as a trainer. The gym I worked at had about 2 Swiss balls kept in the back corner for special use by Personal Trainers with their privileged clients. We thought this was new, cutting-edge technology. I went to a workshop on Swiss ball training to learn this revolutionary new way of training. Had the certification craze been around back then, I would have also gotten "Swiss Ball Certified". Within a few short years, the popularity of the Swiss ball exploded. 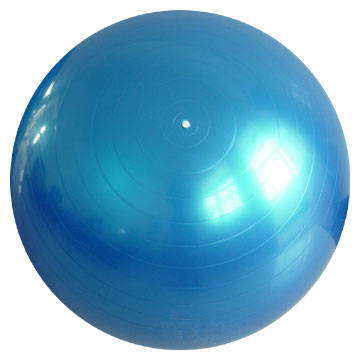 Gyms were filled with rows of these large, inflatable balls, fitness clubs started holding ball group fitness classes and "cutting-edge" trainers moved traditional ground-based resistance training exercises onto the ball. Today we know that training with unstable surfaces has some value in rehabilitation and possibly in injury prevention (though this is more the case with injury prevention for the previously injured). Research has shown that when you take traditional ground-based strength exercises and put them on an unstable surface, your performance results suffer. The reason for this is that the instability forces the body to decrease prime-mover recruitment (i.e. the muscles you are trying to work) and increase the recruitment of other muscles to help stabilize the weight. This means if strength, muscle mass or performance is your goal, you need to get off the ball! Currently I have less than 5 Swiss ball exercises that I use occasionally in training programs for clients or athletes. One of them is an activation drill I use in my warm-up and the others are minor accessory exercises. 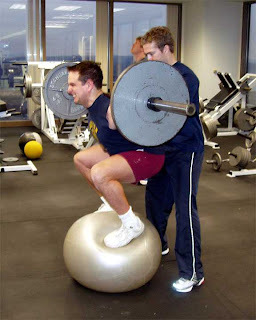 Yes, I know a lot of Swiss ball exercises, but none that are better than the other exercises I use for producing results. If you want to learn more about these, by all means buy books, DVD's and attend workshops on them. (Note for trainers: don't worry about trying to accumulate tons of equipment certifications as it can get expensive and mean that you attach yourself to something that will go out of style soon). However, see each new training device and each new exercise as a tool, not a training system. As new training tools come out, have a good, honest look at them. Ask yourself, is this something that would benefit me or my clients? Are there some exercises I can do with these tools that offer significant advantages over the tools and exercises I am currently using? Remember, just because you can use a certain tool, doesn't mean that you should. Keep it in your exercise tool box and use as needed. Successful training is not about having the most or coolest new tools, it is about the proper use of the right tools at the right time. While I am a big fan of tools such as dumbbells, body weight exercises, medicine balls, kettlebells, chains, bands and gymnastic rings, I believe the adjustable barbell (my blog logo gives it away) should be the foundation of an effective training system. Yes, I know it sounds old school, but it is one of the very best tools to increase strength, build muscle, burn fat and improve performance. Cressey, E., West, C., Tiberio, D., Kraemer, W., & Maresh, C. The effects of ten weeks of lower-body unstable surface training on markers of athletic performance. Journal of Strength Conditioning Research. 21(2):561-7. 2007. I would truly like somebody to correct me! i do know I actually have bother with my knee alignment, however I cannot continuously tell what my knees do. once ever I look right down to scrutinize my type or maybe look within the mirror whereas i am doing lunches, I lose my balance. haha i'd wish to learn ways that to graciously approach folks and encourage them to try and do the exercise fittingly.